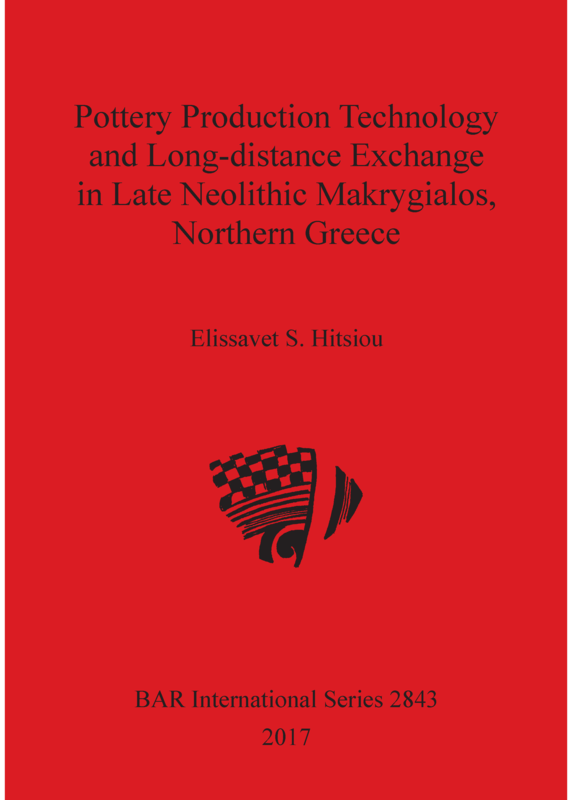 This book investigates the production technology and inter-site circulation of a large and diverse Late Neolithic ceramic assemblage from the flat-extended settlement of Makrygialos (Phase II), in northern Greece. Comparative samples from Dimini, in Thessaly, and Agrosykia A and Giannitsa B, in western Macedonia, are also incorporated. It draws conclusions from the use of macroscopic and petrographic analysis of a large number of samples in an integrated project.The new evidence offers a better understanding of the role of technological choice in ceramic production. Locally produced and imported ceramic categories are found to co-exist. They signify manufacture by different groups or individuals with varying degrees of technological knowledge and skill, probably producing in different places, and within distinct ceramic traditions. More importantly, petrographic analysis provides positive evidence of the long-distance exchange of pots, challenging previously established ideas on the circulation of pottery for this period and geographical area. The emerging picture strongly supports the idea of a dynamic Neolithic society characterised by mobilities, interaction and social competition between people, as revealed through their material culture. Elissavet S. Hitsiou studied archaeology at the Aristotle University of Thessaloniki, Greece, and received her PhD from the University of Sheffield, England, working on Neolithic pottery from northern Greece. At a post-doctoral level, she investigated late classical Mendean-type transport amphorae from northern Greece at the Wiener Laboratory, the American School of Classical Studies at Athens. She was later employed as Assistant Professor at the University of Amsterdam, the Netherlands. She has worked as an archaeologist for the Greek Archaeological Service and as a pottery expert in several research projects (e.g. in Mycenae, Avgi, in Kastoria, Greece).